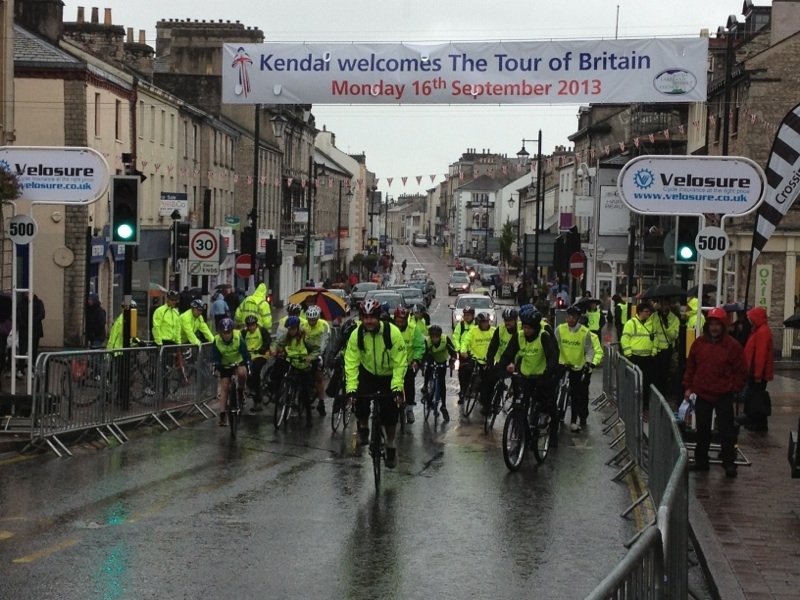 Tour of Britain and Brockhole Cycing Festival, a blog from Caroline Gilbert, Recreation Manager for British Cycling in Cumbria. It’s been yet another inspiring week for British Cycling, with Sir Bradley Wiggins victorious in the Tour of Britain, Mark Cavendish winning the final stage of the race in London on Sunday and British mountain biker Rachel Atherton becoming UCI Mountain Bike World Cup Downhill Champion. With the UCI Road Cycling World Championships taking place this week in Florence, here’s hoping for more great news to celebrate next week. And what do these champion cyclists have in common with somewhat less athletic folk such as me and, dare I say, you? An appreciation of the simple joy of going on a bike ride. 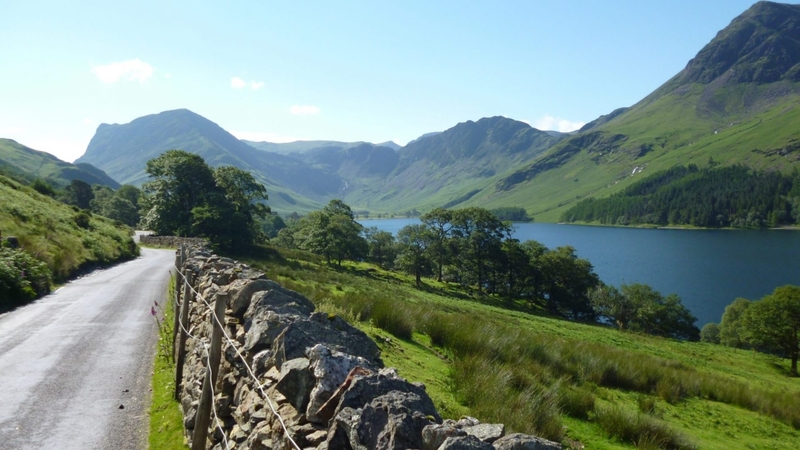 That’s why British Cycling teamed up with Go Lakes Travel to bring Sky Ride Local free, guided bike rides to the Lake District each week throughout the summer. This Sunday is the last of the regular weekly Sky Ride Local rides and we’d like to invite you to join us to celebrate what has been a fantastic summer of cycling in the Lakes. Whilst summer may be over, we’re celebrating cycling this Autumn with a half-term Family Cycling Festival at Brockhole, the Lake District Visitor Centre, on Sunday 27th October. Come along and take part in one of three, free Sky Ride Local bike rides setting off at 11.30am, 12.30pm and 2pm. 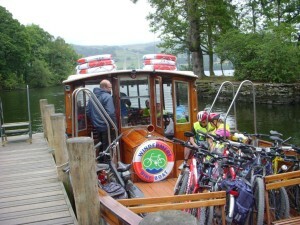 Each ride starts with a free trip on the Bike Boat across Lake Windermere. You can choose from an easygoing ride along the shoreline at 11.30am or 2pm. If you’re feeling more energetic, you can go for the slightly longer loop over to Hawkshead at 12.30pm. With lots of fun activities, including the Apple Fun Day, the Cycling Festival at Brockhole will be a fantastic family day out. Bike hire is available from Electric Mountain. Tel 07407 422 798 to book your bike and its delivery to the ride start at Brockhole. Adults’ and children’s bikes are available. 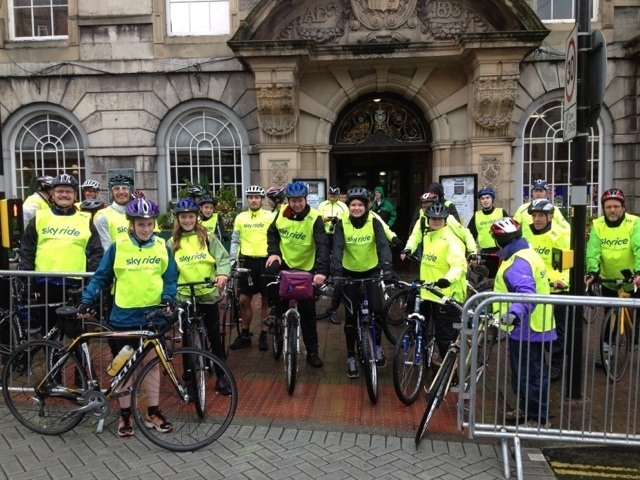 Places are already booking up on the Cycling Festival bike rides. Visit www.goskyride.com to book a place for you and the kids.